“Dementia is increasing worldwide. No effective medication is currently available for the treatment of the underlying disease and accompanying behavioral symptoms. Cannabinoids might have a beneficial effect, but clinical studies with (low-dose) synthetic THC have not been conclusive. Objective: To test the acceptability, practical aspects, and clinical outcomes of the introduction of a THC/CBD-based oral medication in severely demented patients in a specialized nursing home in Geneva. Methods: This was a prospective observational study. Results: Ten female demented patients with severe behavior problems received oral medication with on average 7.6 mg THC/13.2 mg CBD daily after 2 weeks, 8.8 mg THC/17.6 mg CBD after 1 month, and 9.0 mg THC/18.0 mg CBD after 2 months. The THC/CBD-based oil was preferred. 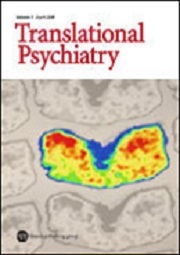 Neuropsychiatric Inventory, Cohen-Mansfield Agitation Inventory score, and a behavior problem visual analog scale decreased by 40% after 2 months, rigidity score by 50%. Half of the patients decreased or stopped other psychotropic medications. The staff appreciated the decrease in rigidity, making daily care and transfers easier, the improved direct contact with the patients, the improvement in behavior, and the decrease in constipation with less opioids. There was no withholding of the medication for reasons of side effects, and the effects persisted after 2 months. 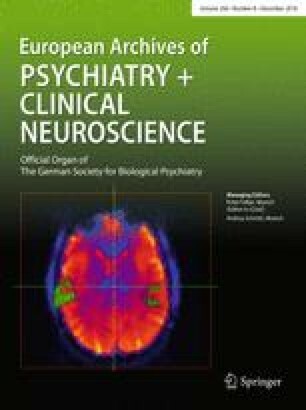 Opposite effects of cannabinoid CB1 and CB2 receptors on antipsychotic clozapine-induced cardiotoxicity. “Clozapine is an atypical antipsychotic drug that is very efficacious in treating psychosis but the risk of severe cardiotoxicity limits its clinical use. The present study investigated the myocardial injury effects of clozapine and assessed the involvement of cannabinoid receptors in clozapine cardiotoxicity. How effective and safe is medical cannabis as a treatment of mental disorders? A systematic review. “We conducted a review of systematic reviews (SRs) and randomized-controlled trials (RCTs) to analyze efficacy and safety of cannabis-based medication in patients with mental disorders. Five data bases were systematically searched (2006-August 2018); 4 SRs (of 11 RCTs) and 14 RCTs (1629 participants) were included. Diagnoses were: dementia, cannabis and opioid dependence, psychoses/schizophrenia, general social anxiety, posttraumatic stress disorder, anorexia nervosa, attention-deficit hyperactivity disorder, and Tourette`s disorder. Outcome variables were too heterogeneous to conduct a meta-analysis. A narrative synthesis method was applied. The study quality was assessed using the risk-of-bias tool and SIGN-checklists. Dark Classics in Chemical Neuroscience: Δ9-Tetrahydrocannabinol. “Cannabis (Cannabis sativa) is the most widely used illicit drug in the world, with an estimated 192 million users globally. The main psychoactive component of cannabis is (-)-trans-Δ9-tetrahydrocannabinol (Δ9-THC), a molecule with a diverse range of pharmacological actions. The unique and distinctive intoxication caused by Δ9-THC primarily reflects partial agonist action at central cannabinoid type 1 (CB1) receptors. Δ9-THC is an approved therapeutic treatment for a range of conditions, including chronic pain, chemotherapy-induced nausea and vomiting, and is being investigated in indications such as anorexia nervosa, agitation in dementia, and Tourette’s syndrome. It is available as a regulated pharmaceutical in products such as Marinol®, Sativex®, and Namisol®, as well as in an ever-increasing range of unregistered medicinal and recreational cannabis products. While cannabis is an ancient medicament, contemporary use is embroiled in legal, scientific, and social controversy, much of which relates to the potential hazards and benefits of Δ9-THC itself. Robust contemporary debate surrounds the therapeutic value of Δ9-THC in different diseases, its capacity to produce psychosis and cognitive impairment, and the addictive and “gateway” potential of the drug. The protective effects of β-caryophyllene on LPS-induced primary microglia M1/M2 imbalance: A mechanistic evaluation. “Neuroinflammation is observed as a routine characterization of neurodegenerative disorders such as dementia, multiple sclerosis (MS) and Alzheimer’s diseases (AD). Scientific evidence propounds both of the neuromodulatory and immunomodulatory effects of CB2 in the immune system. β-Caryophyllene (BCP) is a dietary selective CB2 agonist, which deserves the anti-inflammatory and antioxidant effects at both low and high doses through activation of the CB2 receptor. In this study, we investigated the protective effects of a broad range concentration of BCP against LPS-induced primary microglia cells inflammation and M1/M2 imbalance and identifying the portion of the involvement of related signaling pathways on BCP effects using pharmacological antagonists of CB2, PPAR-γ, and sphingomyelinase (SMase). The protective effects of BCP on LPS-induced microglia imbalance is provided by the M2 healing phenotype of microglia, releasing the anti-inflammatory (IL-10, Arg-1, and urea) and anti-oxidant (GSH) parameters and reducing the inflammatory (IL-1β, TNF-α, PGE2, iNOS and NO) and oxidative (ROS) biomarkers. Moreover, we showed that BCP exerts its effects through CB2receptors which overproduction of ceramides by SMase at middle to higher concentrations of BCP reduce the protective activity of BCP and results in the activation of the PPAR-γ pathway. Blood-brain barrier disturbances in diabetes-associated dementia: Therapeutic potential for cannabinoids. “Type-2 diabetes (T2D) increases the risk of dementia by ˜5-fold, however the mechanisms by which T2D increases dementia risk remain unclear. Evidence suggests that the heightened inflammation and oxidative stress in T2D may lead to disruption of the blood-brain barrier (BBB), which precedes premature cognitive decline. Studies show that vascular-targeted anti-inflammatory treatments protect the BBB by attenuating neuroinflammation, and in some studies attenuate cognitive decline. Yet, this potential pathway is understudied in T2D-associated cognitive impairment. Anandamide Effects in a Streptozotocin-Induced Alzheimer’s Disease-Like Sporadic Dementia in Rats. “Alzheimer’s disease (AD) is characterized by multiple cognitive deficits including memory and sensorimotor gating impairments as a result of neuronal and synaptic loss. The endocannabinoid system plays an important role in these deficits but little is known about its influence on the molecular mechanism regarding phosphorylated tau (p-tau) protein accumulation – one of the hallmarks of AD -, and on the density of synaptic proteins. Thus, the aim of this study was to investigate the preventive effects of anandamide (N-arachidonoylethanolamine, AEA) on multiple cognitive deficits and on the levels of synaptic proteins (syntaxin 1, synaptophysin and synaptosomal-associated protein, SNAP-25), cannabinoid receptor type 1 (CB1) and molecules related to p-tau degradation machinery (heat shock protein 70, HSP70), and Bcl2-associated athanogene (BAG2) in an AD-like sporadic dementia model in rats using intracerebroventricular (icv) injection of streptozotocin (STZ). Cannabidiol prevents haloperidol-induced vacuos chewing movements and inflammatory changes in mice via PPARγ receptors. “The chronic use of drugs that reduce the dopaminergic neurotransmission can cause a hyperkinetic movement disorder called tardive dyskinesia (TD). The pathophysiology of this disorder is not entirely understood but could involve oxidative and neuroinflammatory mechanisms. Cannabidiol (CBD), the major non-psychotomimetic compound present in Cannabis sativa plant, could be a possible therapeutic alternative for TD. This phytocannabinoid shows antioxidant, anti-inflammatory and antipsychotic properties and decreases the acute motor effects of classical antipsychotics. The present study investigated if CBD would attenuate orofacial dyskinesia, oxidative stress and inflammatory changes induced by chronic administration of haloperidol in mice. Furthermore, we verified in vivo and in vitro (in primary microglial culture) whether these effects would be mediated by PPARγ receptors. The results showed that the male Swiss mice treated daily for 21 days with haloperidol develop orofacial dyskinesia. Daily CBD administration before each haloperidol injection prevented this effect. Mice treated with haloperidol showed an increase in microglial activation and inflammatory mediators in the striatum. These changes were also reduced by CBD. On the other hand, the levels of the anti-inflammatory cytokine IL-10 increased in the striatum of animals that received CBD and haloperidol. Regarding oxidative stress, haloperidol induced lipid peroxidation and reduced catalase activity. This latter effect was attenuated by CBD. The combination of CBD and haloperidol also increased PGC-1α mRNA expression, a co-activator of PPARγ receptors. Pretreatment with the PPARγ antagonist, GW9662, blocked the behavioural effect of CBD in our TD model. CBD also prevented LPS-stimulated microglial activation, an effect that was also antagonized by GW9662. Antiapoptotic effects of cannabidiol in an experimental model of cognitive decline induced by brain iron overload. “Iron accumulation in the brain has been recognized as a common feature of both normal aging and neurodegenerative diseases. Cognitive dysfunction has been associated to iron excess in brain regions in humans. We have previously described that iron overload leads to severe memory deficits, including spatial, recognition, and emotional memory impairments in adult rats. In the present study we investigated the effects of neonatal iron overload on proteins involved in apoptotic pathways, such as Caspase 8, Caspase 9, Caspase 3, Cytochrome c, APAF1, and PARP in the hippocampus of adult rats, in an attempt to establish a causative role of iron excess on cell death in the nervous system, leading to memory dysfunction. Cannabidiol (CBD), the main non-psychotropic component of Cannabis sativa, was examined as a potential drug to reverse iron-induced effects on the parameters analyzed.